This and That and everything in between… a new Smash like Book? Have you heard about Smash Books? 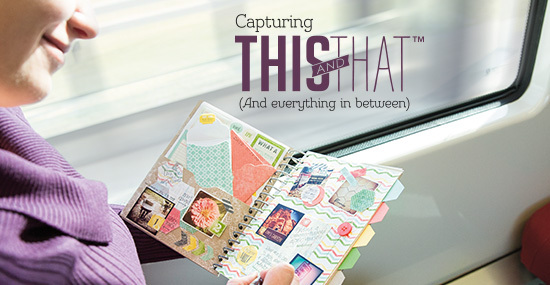 Well now Stampin’Up has come up with their version of a Smash like Book called “This and That”. Take a look at the short video below and see all the awesome things you can add to the This and That journal. I’m also including a PDF (at the end of this post) with all the products included in the This and That product bundle. This is something I have wanted to do for a very long time and never was motivated enough to start. I guess this time is as good as any, who cares if I’m in my 50’s! This is my life and I want to leave something behind to let my children know how I spent it and how they were a part of my life along with all the other great people. Yes, that does include my wonderful husband! I want to let them know what inspired me and moved me. I will be ordering my bundle today and start keeping a journal of my life! The PDF includes all the product numbers and you can order them on my online store anytime! I can’t wait to start mine and I can’t wait to hear about all of your ideas! Who wants to win a trip to San Diego?